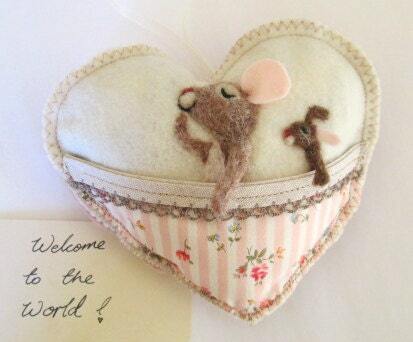 Christening Needle felted baby boy mouse Heart , baby shower or tooth pillow, personalised with name. 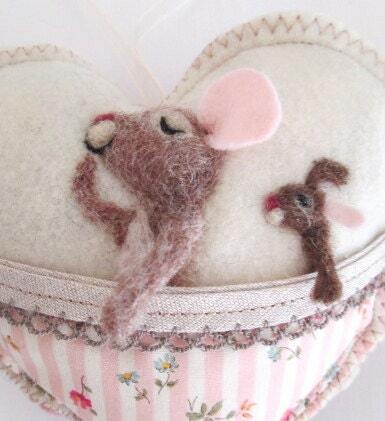 Little baby mouse is sound asleep with his little toy bunny by his side. 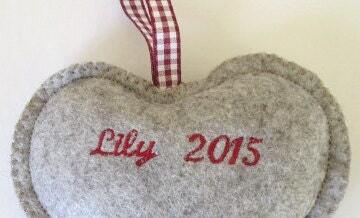 This heart makes an adorable gift and can be personalised with a name / date / message on the back. I can also add a cloud pocket on the back so it can be used as a tooth pillow as they grow up. This is all blue. I make them for a girls using pinks, greens or yellows. 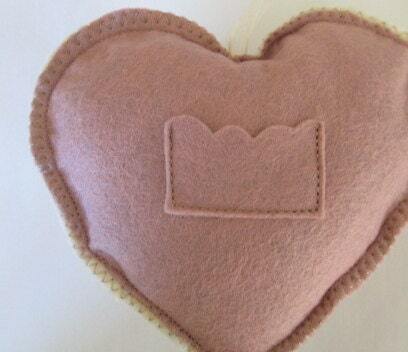 The heart has a pretty organza ribbon and is lavender scented to help them sleep or it can be made scent free. A truly unique and personal gift. 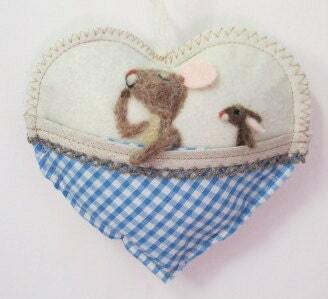 The design is needle felted with Somerset and Scottish wool and the mouse is in Full Relief -The ear and nose are all 3 dimensional making the heart attractive from many angles.